Eventus is based on the most up-to-date systems integration technologies. By using standard middleware tools, concepts and methods (e.g. IBM MQSeries/Websphere, TIBCO, Vitria, Biztalk, ESB, SOAP, JMS), Eventus can be rapidly incorporated into any architecture, and, if necessary, can itself provide an integration platform for the enterprise application infrastructure. Eventus is designed to be one of the most important elements within a company’s architecture, centrally directing business processes and resources. In order to be effective in this role, extensive and professional systems integration is required. Ideally, Eventus will be connected to every application that is affected by company processes or that provides any kind of resources for them. Through integration, Eventus provides a unified framework for workflows across systems (or even companies). For example, it makes the tracking of work against deadlines easy – even in systems that never had this function before. Integration also offers extensive scope for automation. The system can independently execute or initiate the execution of numerous tasks that previously required significant human input. Those tasks that do not require individual decisions can now be carried out from beginning to end without human intervention. Eventus can be integrated several ways. Both custom integrations directly with specific interfacing technologies and common, general purpose integration technologies/buses, like SOA, webservices, EAI/ESB solutions are supported. 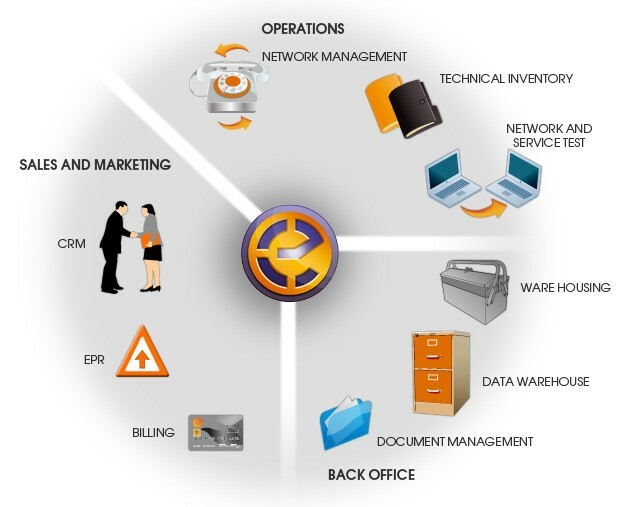 With the help of the supported EAI systems above Eventus is capable of communicating with any modern 3rd party software system.